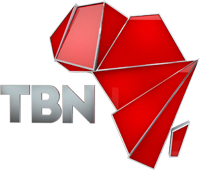 We are inviting the continent of Africa’s partners and programmers to be a part of the TBN family on DStv channel 343, where viewers experience pure faith and family television like never before! If you wish to air your ministry programming with us, please fill in our online 'Become a Programmer' form for more details. Dankie vir die TRUTH and GRACE preachers soos Joseph Prince ens. It's a whole lot of encouragement.